Throw one back with your biggest supporters at your next event with the 1 oz. mug shaped mini shot glass! 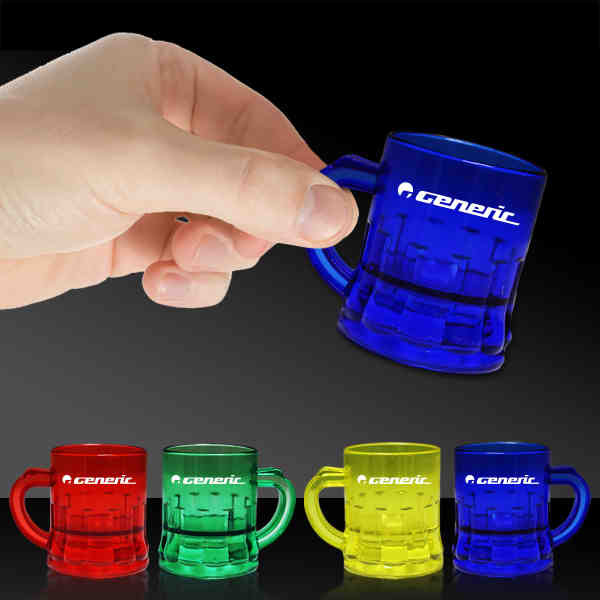 Offered in an assortment of great colors, this plastic shot glass is shaped as a unique mini mug and is sure to make an impression at promotional events, bars, nightclubs, fundraisers, and much more. Showcase an imprint of your logo or company name using our pad printing services. Choose this bar accessory in order for your brand to stand out from the crowd! Imprint minimum is first column quantity.